A couple of weeks ago, I posted from the World Series Squash Finals in South West London which had reached the semi-final stage. Sadly, the final – between England’s Nick Matthew and Amr Shabana of Egypt – was never played, overnight storm damage rendering the venue unsafe. But two weeks later, Matthew and Shabana did meet – in the semi-final of the Tournament of Champions in New York. And the tournament, staged in the Vanderbilt Hall at Grand Central Station, was sponsored, in true American style, by one of the largest investment banks in the world. In March 2008, at the height of the global financial crisis, the US investment bank J P Morgan Chase took over one of its rivals, Bear Stearns, at a startlingly low price. The share price of Bear Stearns, which had until recently been the fifth largest bank on Wall Street, had all but collapsed as a result of its over-exposure to the mortgage-backed assets that were central to the subprime mortgage crisis. 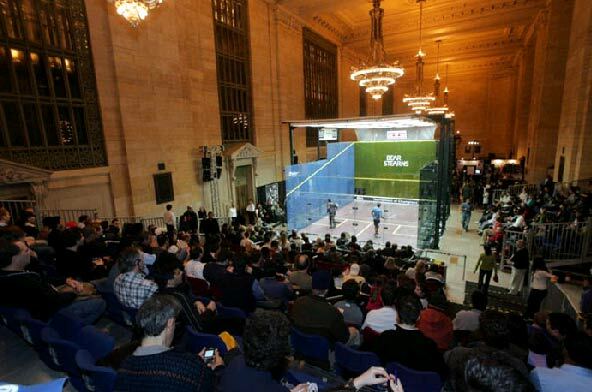 As part of the takeover deal, J P Morgan not only acquired Bear Stearns’ assets – including its glittering Madison Avenue skyscraper headquarters – but also its sponsorship of a squash tournament. The Tournament of Champions. 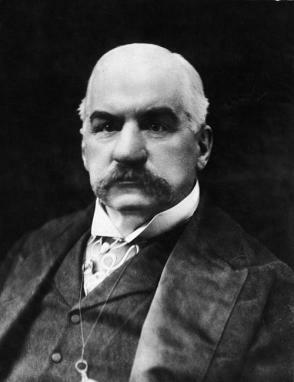 The founder of J P Morgan was the eponymous John Pierpoint Morgan (b1837 –d 1913), the American financier, banker and art collector who dominated the world of corporate finance and industrial consolidation. Morgan was the leading financier of the so-called Progressive Era, a period of social activism and reform that flourished from the 1890s to the 1920s. His dedication to efficiency and modernisation helped transform American business. Morgan also redefined conservatism in terms of financial prowess coupled with strong commitments to religion and high culture. What Morgan would have made of his bank’s sponsorship of a squash tournament is a matter of speculation. But there’s no doubt that the 2011 event has been a money-spinner for its sponsors. really was a metaphor for bleeding edge capitalism and the survival of the fittest….and bending the rules…. Well, if so, Nick Matthew – who meets Rami Ashour in the final – is going to have a really challenging time later this evening. And possibly a very lucrative one. But I suspect he knows that already. This entry was posted in Squash and Culture, Squash Courts, Squash Lives, Squash Matches, Squash Players, Squash Tournaments and tagged squash court, squash match, squash matches, squash racket by Peter Heywood. Bookmark the permalink. Do you people have a Facebook fan page? I looked for one on Twitter but could not discover one. I would really like to become a fan!